Datamars is the parent company of Datamars Agri Ltd. Datamars makes and sells ID products for livestock, pets and textiles through sales and production facilities in Europe, the Americas and the Asia-Pacific region. Our mission is to provide identification products that create value for our customers through superior quality, continuous innovation and excellent service. 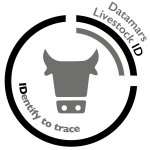 Our livestock ID keeps track of animals for official identification purposes and helps farmers manage: Traceability, Disease control, Control of subsidies, Farm management and Asset Management. We manufacture microchips that are implanted under the pet’s skin. 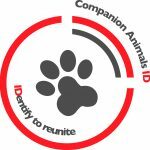 It contains a unique ID number so lost animals can be reunited using Datamars’ “Petlink” and “PetMaxx” services. RFID tags are used to automatically identify and sort items during the washing process to improve efficiency. 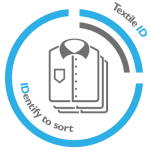 The main areas of application are professional clothing, sheets, dust control and private clothing. Datamars is the parent company of Datamars Agri Ltd. Datamars makes and sells ID products for livestock, pets and textiles through sales and production facilities in Europe, the Americas and the Asia-Pacific region. Copyright 2019 Datamars Agri Ltd. All rights reserved.